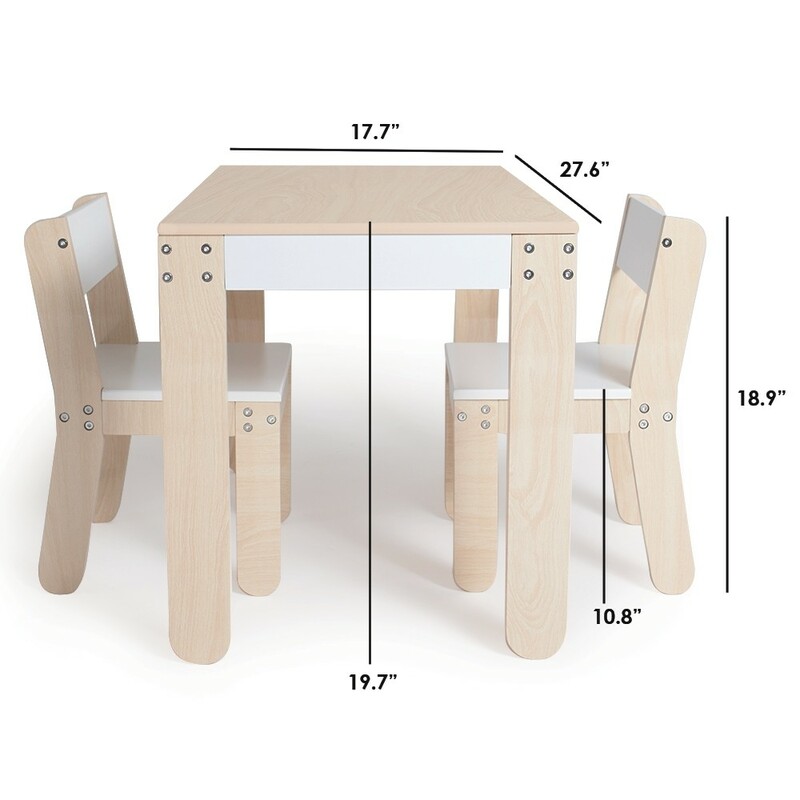 This childrens activity table and chair set is perfect for little ones. A Playful Spot All Their Own! Playful and practical, the table has a large surface that provides plenty of space for even the most creative toddler. Accompanied by stylish chairs that are perfectly sized for children. With clean, modern lines, bold color accents and playful "Popsicle-stick" feet this child table and chairs set brings a contemporary look to any kid room. Made of the same quality wood to match the P�kolino line and coated with a wood veneer that makes for an easy clean up. Just wipe away any "oops" with a damp cloth. Two chairs are included with the product. Safety: P'kolino products meet or exceed US, EU, and Canadian safety standards. Independently Tested for durability, toxicity, mechanical safety, regulatory standards, use and abuse and age grading.